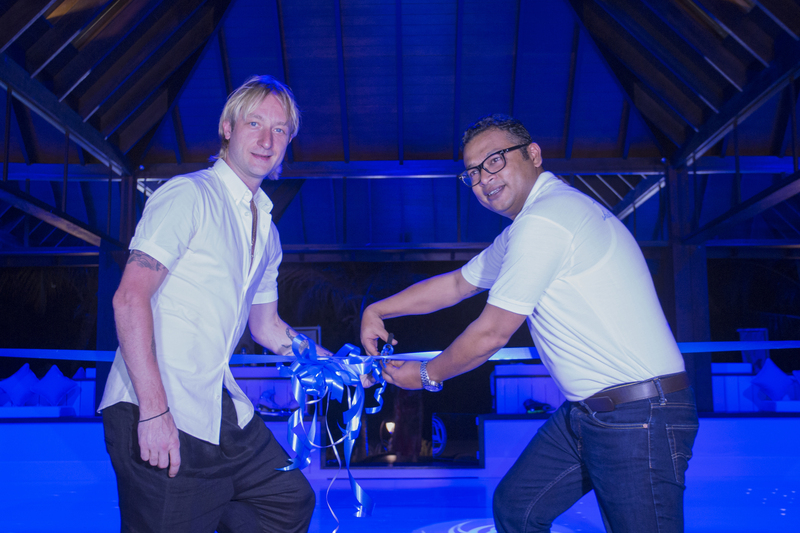 Jumeirah Vittaveli inaugurated the first ice rink in the Maldives with a celebrity performance by Russian Evgeni Plushenko, a former Olympic Gold medallist figure skater. The eco-friendly ice skating rink Ice Ice Maybe… is a world first to the Maldives and the 87 square meters offers plenty of space for pirouettes and ice hockey games. Amit Majumder, General Manager, Jumeirah Vittaveli, said: “I congratulate the entire team for introducing a world-first to the Maldives. This eco-friendly ice skating rink on a tropical island is a true expression of our aim to ‘wow’ our guests, not just with genuine service from the heart but with innovative additions to our resort that provide extraordinary experiences to the adventurous traveller. The grand finale to the launch event was Evgeni Plushenko’s performance, he was later joined by his wife Yana Rudkovskaya and his 5-year-old son Aleksandr Plushenko, an ice skating wonderkid. The country’s first ice skating rink Ice Ice Maybe… at Jumeirah Vittaveli has been manufactured using Glice®, a novel material from Switzerland that allows for eco-friendly ice rinks, eliminating the need to keep the ice rink cold. This enables guests to experience a world-first at Jumeirah Vittaveli when they go for a swim in the crystal clear waters of the Indian Ocean, followed by a quick stroll across the beach to put on their ice skates and glide along the picturesque backdrop of a tropical winter wonderland. The rink will be open from 12 – 6pm daily and access costs at USD 75 which includes 2 hours of ice skating, rental of equipment, a delicious ice cream sundae to enjoy post ice skating and a host of giveaways and souvenirs. All following entries will be charged at USD 50 and include gear and an ice cream sundae. The rink will be open for all ages, children below 8 years of age will need to be accompanied by a parent or guardian. Jumeirah Vittaveli offers romantic escapes as well as a variety of land- and water-based activities, including a PADI Dive base, water sports centre, six restaurants and bars, and two lounges; an underground tasting room and a wine library will be opened soon. 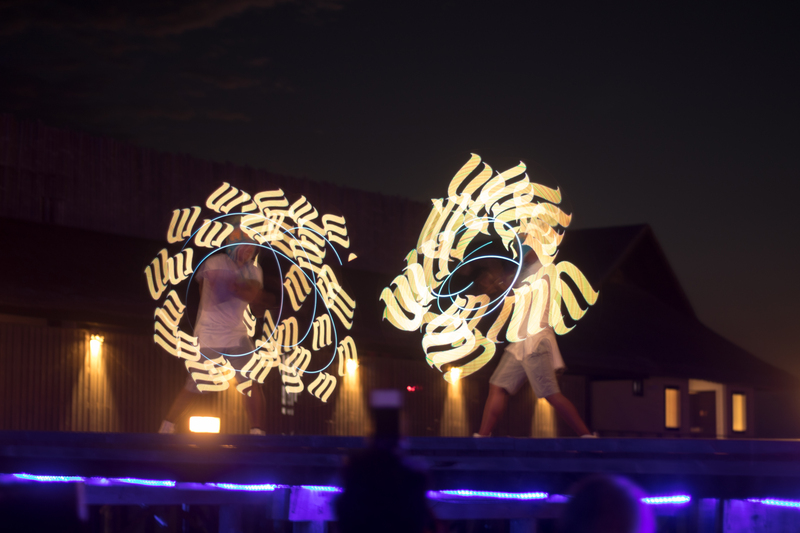 With its focus on cultural connection and organic experiences in a luxurious setting, Jumeirah Vittaveli offers guests a true Maldivian island experience. A 20-minute boat ride from Malé International Airport brings you to Jumeirah Vittaveli. Whether for an intimate escape or an indulgent family retreat, Jumeirah Vittaveli offers unmatched diversity, subtle luxury and personalised exploration. Impeccable choice and seamless service shape the character of this resort paradise, where every detail has been meticulously crafted to inspire journeys of discovery and enjoyment. Whether beach-side or over-water, all villas feature stunning interiors with private pools and access to the sandy shores or glistening waters. The sprawling 5-bedroom Royal Residence comes with private beach, spa, gym, two swimming pools, and its own dedicated restaurant. An inspirational Spa, a well-equipped overwater gymnasium, a children’s club and 5 star PADI dive centre mean guests are always able to try something new. The country’s first ice rink invites guests for a world first – ice skating on an eco-friendly synthetic ice rink, overlooking the powder soft beaches and crystal clear waters of the Indian Ocean. Jumeirah Group, the global luxury hotel company and a member of Dubai Holding, operates a world-class portfolio of hotels and resorts including the flagship Burj Al Arab Jumeirah. Jumeirah Hotels & Resorts manages properties in Dubai and Abu Dhabi, UAE; Bahrain and Kuwait in the Middle East; Frankfurt, London and Mallorca (Spain) in Europe; the Maldives and Shanghai in Asia. Jumeirah Group also operates the new upscale-casual brand, Zabeel House by JumeirahTM and runs the luxury serviced residences brand Jumeirah LivingTM with properties in London and Dubai; the wellness brand TaliseTM; Jumeirah Restaurant Group DubaiTM; Wild Wadi WaterparkTM; The Emirates Academy of Hospitality ManagementTM; Jumeirah SiriusTM, its global loyalty programme; and isme by Jumeirah™ an app based rewards programme in the UAE. Future openings include luxury hotels in the UAE, Indonesia, China, Oman, Jordan, Malaysia and the Kingdom of Saudi Arabia.